Can your diet help your headaches? In the US, more than 37 million people suffer from migraines, with some estimates putting the number at 13% of the population, and 2-3 million of those people being chronic sufferers. They’re 3 times as likely to be women, and more than 70% have a strong family history of migraines. While there are some great medications currently available to treat migraines, reaching for a pill isn’t the only option that you have. There’s strong evidence that dietary changes can reduce the number of headache days, as shown in a recent review. There’s two approaches that one can take, either an elimination diet, or following a specific diet designed to prevent headaches. Of course, you could combine the two for potentially greater results. Caffeine. While it’s true that withdrawal from caffeine can trigger headaches, it’s important not to overdo this stimulant. 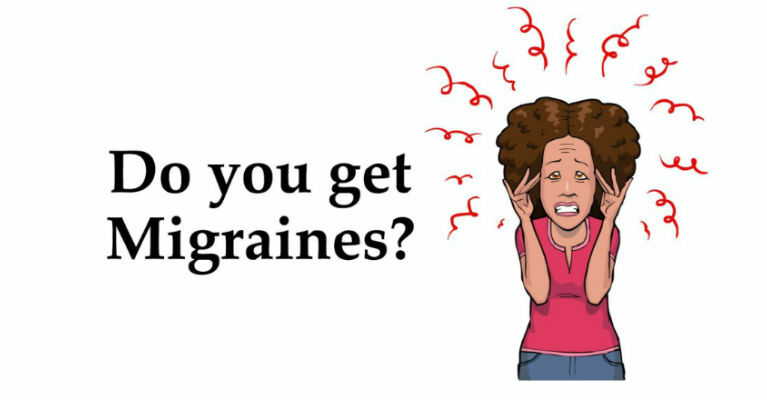 Migraine sufferers, shouldn’t be consuming more than 400mg daily. A cup of coffee is usually around 100mg but can vary widely, so it’s worth finding out how much your favorite brew contains. Contact the manufacturer if it’s not immediately clear. Large amounts of caffeine can trigger not only headaches, but anxiety and depressive symptoms, too. MSG is a flavor enhancer and is found in a variety of processed foods, including canned and frozen foods, soups, many international foods like Chinese foods, snack foods and salad dressings, seasoned salt, and sauces like ketchup and BBQ. The easiest way to eliminate it would be to eat fewer processed foods, so increase your consumption of fresh fruits, veggies and meats. MSG will affect you most when in liquids, such as soups. Nitrites are preservatives used in processed meats (bacon, sausage, lunch meat) to preserve color and flavor. Use of nitrates has declined with stronger government regulation, but it’s worth checking labels. Nitrate-free versions of many meats are available at some health food stores. Alcohol is the most commonly reported dietary trigger factor, and vodka and red wine are especially problematic. Gluten is commonly suggested as a migraine trigger, but removing gluten from your diet will likely only lessen headaches among those with celiac disease (which can be established with a blood test or intestinal biopsy by your doctor). Extremely low carbohydrate. Even lower carbohydrate than something like Atkins, this diet puts your body into a state of ketosis, and is only recommended under a doctor’s supervision (some very unpleasant things can happen if a state of ketosis goes too far, like extreme dehydration and/or your blood becoming too acidic, both of which can lead to coma and even death). Increasing your consumption of Omega-3 fatty acids while decreasing your consumption of Omega-6 fatty acids is the most promising prevention diet. This involves tossing out polyunsaturated vegetable oils (corn, sunflower, peanut, canola and soy) in favor of flaxseed oil. Foods to consume include flaxseed (ground is better than whole unless you chew very thoroughly – our digestive tract cannot breakdown the outer layer of whole flaxseeds), salmon, halibut, cod and scallops, while those to avoid would include peanuts and cashews. Ultimately, a healthy no-more-headaches diet excludes processed foods, minimizes caffeine and alcohol, and includes a lot of fruits, vegetables, fish and lean meats. Frankly, we’d all be better off following that advice!